Sandcastle tournament raises funds for local educational programs. Attention, aspiring architects. Get out your little plastic shovels and buckets. 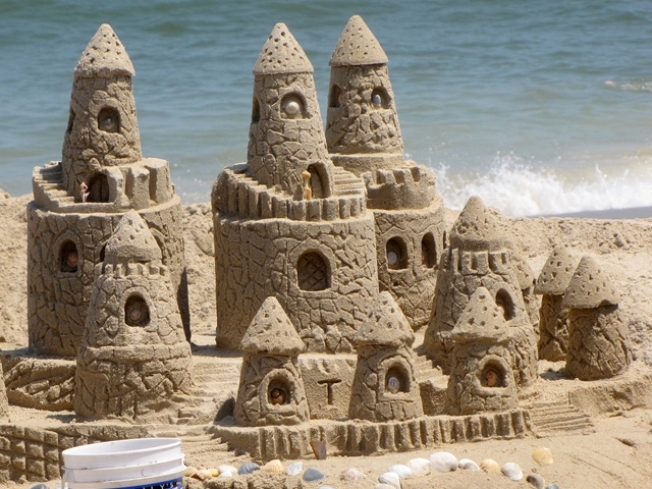 The 27th Annual Sandcastle Tournament is coming to Ocean Beach next Saturday, October 2nd. Hosted by local educational organization Leap, the contest is geared towards kids but promises to be a blast for castle-builders of all ages. It's the largest sandcastle event in Northern California. This is serious business. "Before the event, architects and builders meet with schoolchildren in the classroom to develop ideas based on a set theme," says Leap. "Plans are finalized, clay models are shaped, team structure and schedules are defined, and tasks are assigned, all in preparation for the big day. " Careful where you dig! When a dead whale washed ashore a few days ago, it was simply buried in the sand. Funds raised by the event will help Leap serve thousands of students across the Bay Area. Construction gets underway at 10 a.m., and lasts until 4 p.m. When's the last time you saw a team of contractors work for that long?